Pearl Jewelry The perfect earrings to go with the squirrel necklace in my shop! 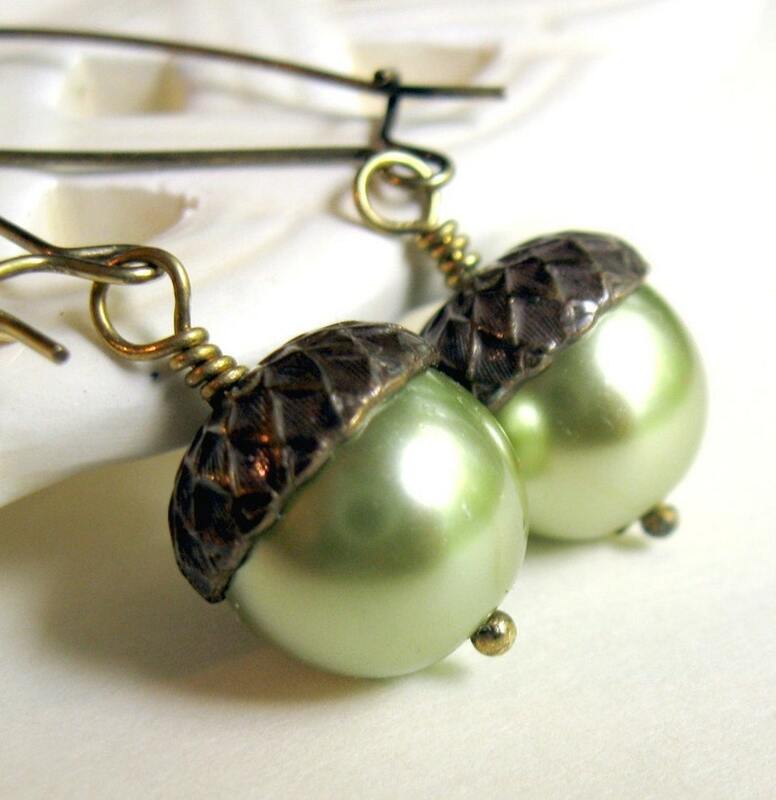 Large almost 1/2 inch light green glass pearls capped with brass to look like acorns. Please see the last picture for the choices in earrings styles during check out. The earrings arrive in a ribbon wrapped white gift box shipped inside a secure padded mailer. Your jewelry was made with quality materials and has a 90 day warranty during which free repairs will be made. Returns accepted for 7 days. Shipping is first class mail. Please contact me for a quote on insurance or upgraded shipping if needed.